Akbar was a great Mughal Emperor who was a great lover of intellect and arts. Despite his illiteracy, he had a great passion for knowledge and was interested in accumulating erudition from the great minds at that time of his reign. He had a great affinity for academia and arts which in turn influenced his choices in the royal court. For this, he had some of the great men who were genius in their field in his court. There were 9 courtiers in Akbar’s reign and they were popularly known as Navratnas or Nine Jewels. The story of the grandeur of Akbar is incomplete if we don’t mention the name of his Navratnas. He was the Grand Vazir or Prime Minister in the court of Akbar. He was the author of Akbarnama that contains every single detail about the reign of this famous Mughal emperor. He was the brother of Faizi and translated Bible in Persian when he was a royal courtier. He was born in Agra but has his ancestral ties in Yemen. He was extremely bright since his childhood and could read and write in Arabic since the age of 5. He came to the court of Akbar in 1575 and was extremely influential in converting Akbar’s views towards religion as liberal. He was killed while returning from the war in Deccan by Vir Singh Bundela. His son was appointed as Governor of Bihar in 1608 by Jahangir. He was the Finance Minister and Commerce Minister of Mughal Empire and one of the Navratnas in the court of the ruler Akbar. He was the only Hindu courtier next only to Raja Birbal out of the 9 ratnas. He was born in Uttar Pradesh and he belonged to a typical Kayastha or Agrawal family of the Hindus. During the early phase of his career, he was a writer by profession but slowly moved to higher ranks in the reign of Sher Shah Suri. As a courtier, he introduced land survey and settlement system, standard weight and measures, revenue districts and officials. He also introduced a new land revenue system called Dahsala Zabti System where crop yield were surveyed on a basis of 10 year period. He was also an able warrior and contributed a lot in many battles. He died in the year 1589 in Lahore and was survived by two sons namely Kalyan Das and Dhari. He was the Defense Minister in the court of Mughal Emperor Akbar. He was a poet and one of 9 important ministers at that time. He was popularly known as Rahim and has composed a large number of Urdu couplets and wrote several books on astrology. He was the son of Bairam Khan who was the trusted guardian and mentor of Akbar. He was born in Lahore and was known for his strange ways of giving alms to beggars where he never looked at their face and maintained his gaze down. He made a major contribution in writing dohas which are popular in today’s time also. He translated the memoir of Babur called Baburnama from Chagatai Turk to Persian language. He had very good knowledge of Sanskrit. Although he was Muslim by birth but he was a very big devotee of Lord Krishna and all his poetry were dedicated to Him. His tomb is situated at New Delhi near to Humayun’s tomb. He was a Hindu adviser and Foreign Minister in the court of Akbar. Birbal is extremely popular in the Indian subcontinent for his folk tales that focuses his wit and humor. He was appointed by Akbar as singer and poet. He was a very legendary and famous figure in India because of his cleverness. He was the only person who adopted Din-i-Ilahi; the religion founded by Akbar. Birbal’s actual name was Mahesh Das and he was born in 1528 in Uttar Pradesh. He had very good knowledge of Hindi, Sanskrit and Persian language. His reputation in the court grew with time and he became the closest friend of Akbar. He played the role of military figure and religious adviser for his emperor. He was killed in a war but his body was not found for cremation. Akbar considered Birbal’s loss as one of the greatest tragedies since his accession to the throne. He was the Education Minister in the court of Akbar and mentor of Shahzadas. He was a scholar and poet of the late medieval period in India. He was the elder brother of Abul Fazal who was one of the nine ratnas of Akbar’s court. Faizi was known to be a genius person and apart from appointing him as one of the nine gems, he was appointed to tutor the sons of Akbar. He was born in Agra and is known for his poetic works in Persian. More than 100 different poems were written by Faizi but the titles are not known to anyone. He wrote a commentary on Quran and translated Lilavati which is a Sanskrit work on mathematics into Persian language. He even translated Ramayana, Mahabharata and Panchatantra into the Persian language. He was the Home Minister in the court of Akbar and one of the nine ratnas. He was one of the intelligence advisers of the Mughal Emperor but is often considered to be a fictional character. He has often been depicted as the rival of Birbal and although there is no record in the Mughal era about this courtier, some scholars are of the opinion that he was a historical figure and his original name was Abdul Monin. He was born in India and left for Iran in the year 1582 and was buried in Handia in 1620. He was the Religious Minister in the court of Akbar and one of the nine ratnas. He was a Sufi mystic and was known for his vast knowledge on religion. 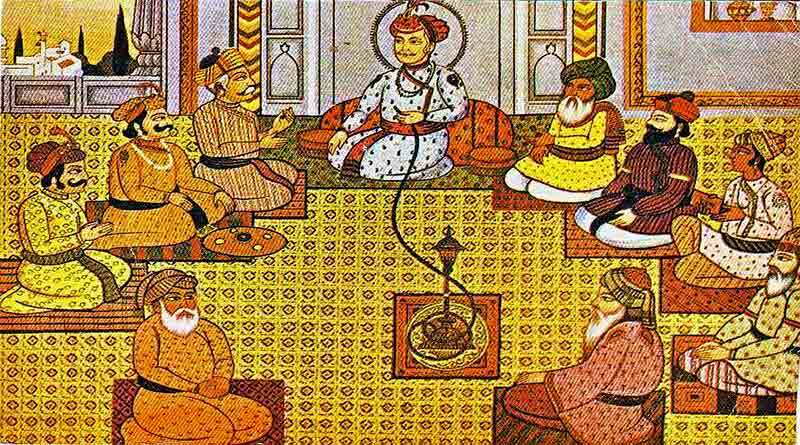 He advised his emperor on several religious matters and was instrumental in making Akbar’s religious views as liberal. 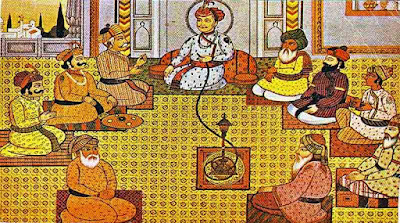 Akbar had a lot of respect for him because of his knowledge on wide range of topics. There is no historical record about his birth, life and death. He was the Culture Minister and a versatile singer in the court of Mughal Emperor Akbar. He was first spotted by Akbar where Tansen was imparting his services in the court of Ram Chand who was a Hindu King in the city of Gwalior. He was requested for his presence in the court and consequently became one of the nine ratnas. He was given the title of Mian by Akbar which means a learned man. Tansen is remembered in the history for his contribution in North Indian and Hindustani classical music. A number of different musical schools in India are founded on the basis of his contribution to music. He has written two books on music called Sri Ganesh Stotra and Sangita Sara. He was the Chief of Staff of the Mughal Army of Akbar and one of the nine ratnas. He was born in the year 1580 and Akbar married his aunt. Many historians claim it to be the main reason he was inducted in the court of Akbar. The emperor was extremely fond of him and referred him as his “son”. He made an active contribution in the Battle of Haldighati against Rana Pratap in 1576. Later on, he became the Governor of states of Bihar, Jharkhand, Odisha and Bengal. He died a natural death in the year 1614 and was a big devotee of Lord Krishna.